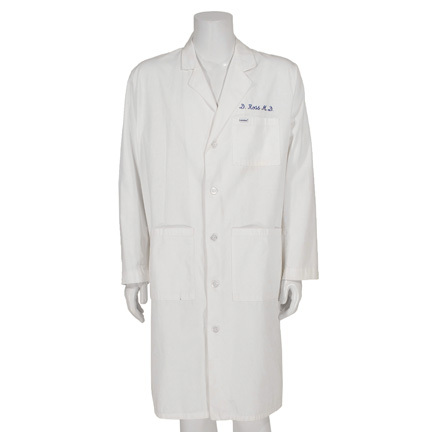 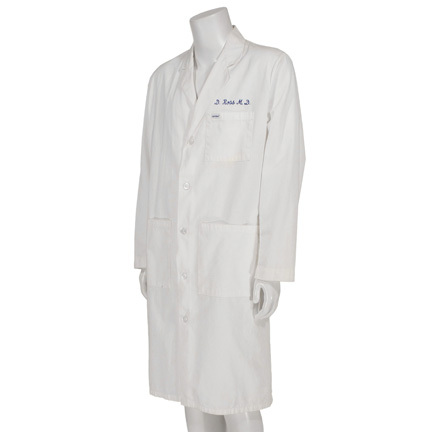 This white lab coat was worn by the character “Dr. 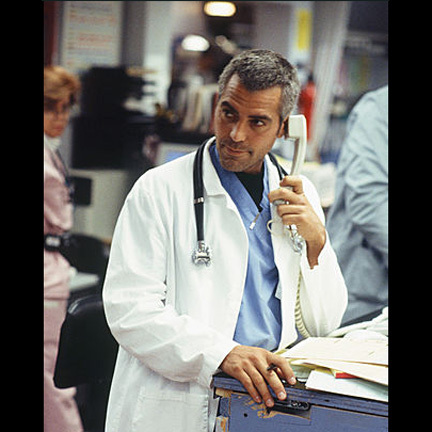 Doug Ross” portrayed by actor George Clooney in the hit television series “ER”, which ran from 1994 - 2009. 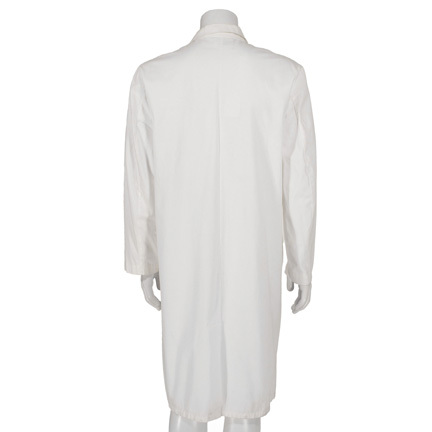 The button front long sleeve coat is in excellent screen worn condition and has the character name “D. 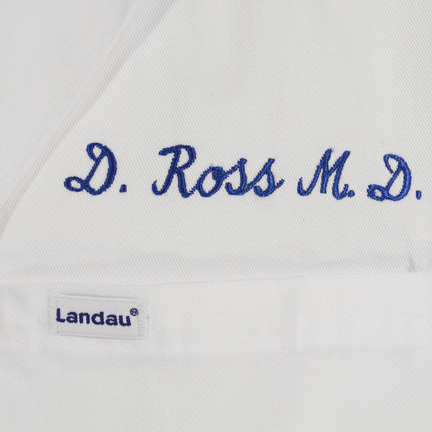 Ross, M.D.” stitched on the breast. 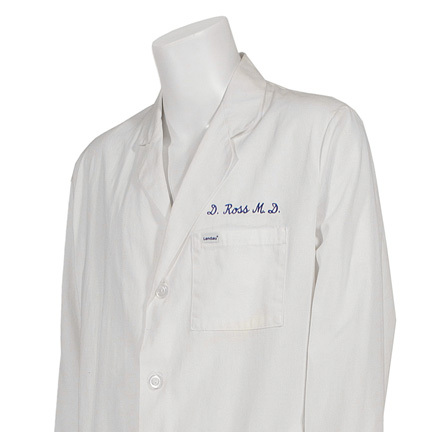 Dr. Ross was a principle character when the series debuted, and wore the coat in numerous episodes of the show’s first five seasons before leaving the series in 1999. 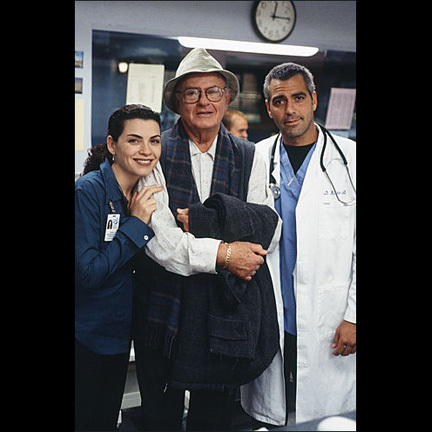 He later provided an un-credited voiceover to an episode in 2000, and returned to the show for a single episode of the final season in 2009. 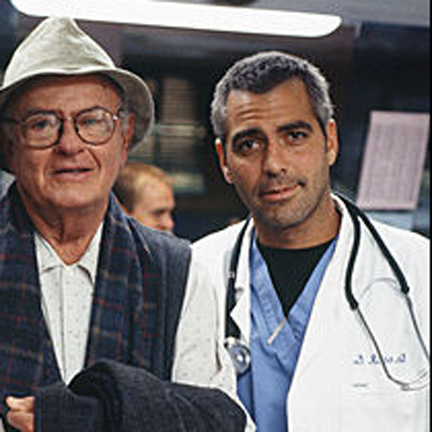 “ER” was the groundbreaking television drama created by best selling novelist Michael Crichton and received numerous Emmy and Golden Globe Awards and nominations over the course of its impressive fifteen-year run. 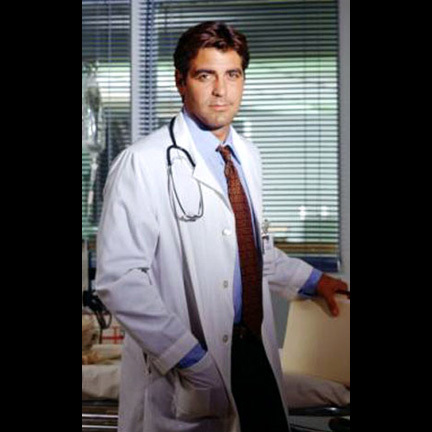 George Clooney was nominated for an Emmy Award for Outstanding Lead Actor in a Drama Series for his work on the series in 1995 and 1996.